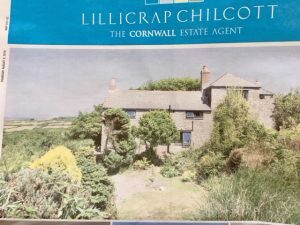 This entry was posted in Cornwall, English Literature and tagged Catherine Carswell, Cornwall, DH Lawrence, Frieda Lawrence, Higher Tregerthen, John Middleton Murry, Katherine Mansfield, Lady Ottoline Morrell, Zennor by Simon Lavery. Bookmark the permalink. I enjoyed reading about this, Simon – thanks for posting. Estate agents, eh. Cherry picking the most appealing quotes to present the cottage in the best light! My goodness, Catherine, how lovely to hear from you here! I follow your posts from exotic/interesting places on FB with interest. Oddly enough I found this cottage some years ago, but more recent visits have failed to locate it. Must try again, posing as a buyer. Hope you are keeping well. 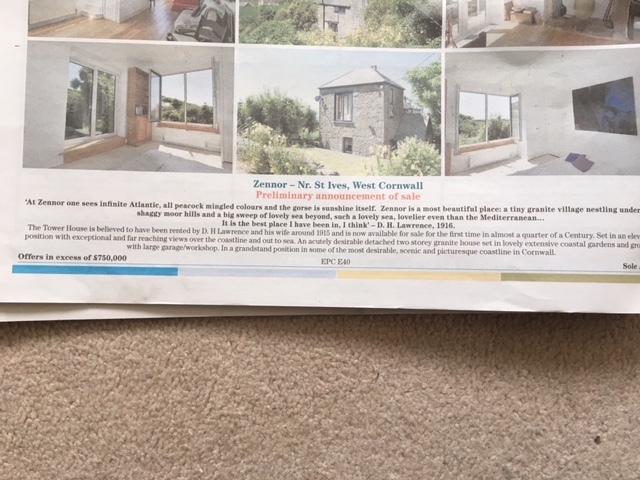 Just look at the price tag of the renovated cottage now! It would be a great idea to pose as a potential buyer! I guess the price tag almost left me unfazed considering this is the price of a tiny flat in London. Pleased to hear my photo ramblings are of some interest – and here’s to yet more interesting blog posts. I wish I could afford it. But I take your point about London prices. four shillings a week seems a good deal now. Indeed she did stay there, Lisa. 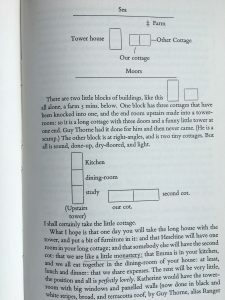 That letter of invitation to her and her husband, Murry, with his sketch of the layout of the two buildings is from a letter written to the couple. Lawrence was disgusted and felt betrayed when she and Murry left the 7-roomed ‘tower house’; it was formerly three old cottages. 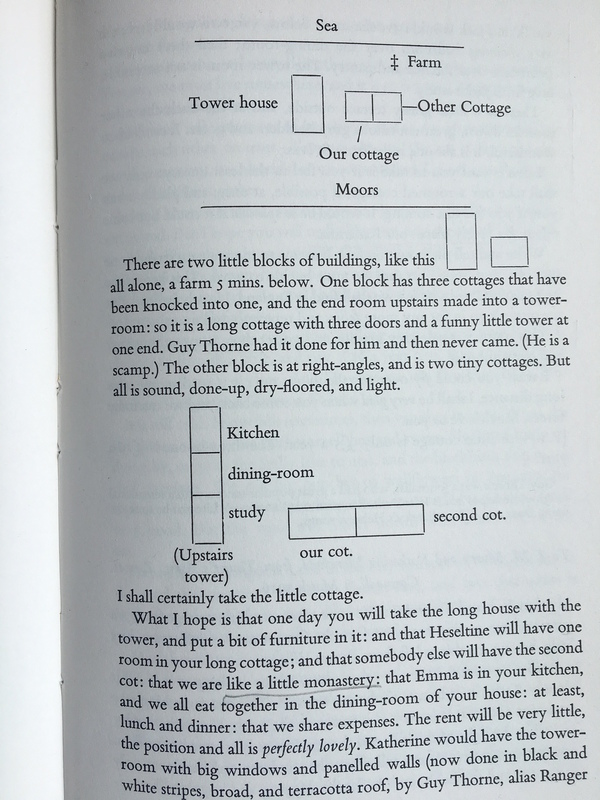 Katherine could have the ‘tower room’, he’d suggested in the same letter. 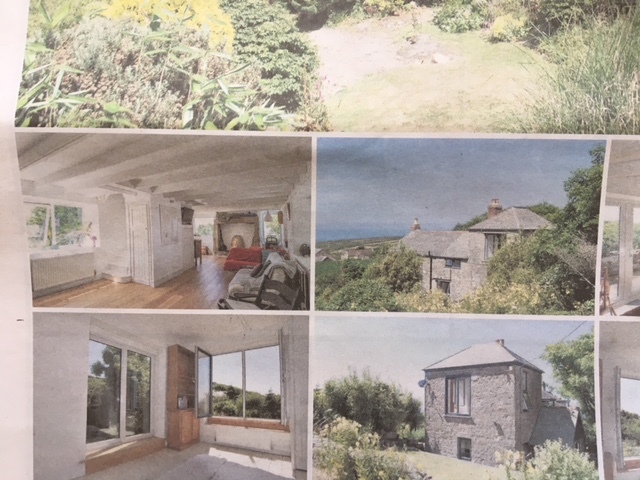 In a slightly later letter, just before they arrived, he’d predicted, with typical overoptimism, that they’d live there ‘a long, long time, very cheaply…it is so free and beautiful.’ There they could live without further acrimony, ‘treacheries and so on’, with ‘no more quarrels and quibbles’ – they would have, he cheerfully predicted, a ‘Blutbruderschaft’, they’d be, he said in another letter, ‘truly blood kin’. He’d sadly miscalculated how alienating his behaviour could be – he and Frieda fought like tigers – they can’t have been easy housemates. He also miscalculated that they share his delight in such basic accommodation, assuming that his impecunious disdain for comforts would be shared by the more patrician Murrys. They didn’t get off to a good start; soon after their arrival Murry was arrested by a local policeman bearing a warrant for his evasion of conscription – he produced a dodgy ‘rejection certificate’ from the Officers’ Training Corps that seems to have satisfied the law. In a letter of 24 May he wrote to Lady Ottoline with the first signs that the Murrys were unhappy there: they ‘do not like the country – it is too rocky and bleak for them. They should have a soft valley, with leaves and the ring-dove cooing’. His disdain is palpable in the rest of the letter. Why can’t they just rough it, as he and Frieda did? He can’t forgive such feebleness (as he saw it). In that letter of 30 May to Barbara Low he wrote that they were to leave ‘in a fortnight’. So they only stayed a month or so. ‘I give up having intimate friends’, he wrote acidly to Catherine Carswell soon afterwards. Hi Simon, have been reading but remaining silent for the last month or so, with nothing that felt as if it would be much of a contribution. Hope this doesn’t come across as Pollyanna-ish, but it seems such a sad waste of life force for someone like Woolf to be jealous of other writing talent, like a butterfly and a peacock coveting each other’s beauty. That is good to know, Simon! I recommend you whenever I find what I sense could be a receptive audience. Your work deserves a wide readership. Cheers!